2013 will be a year that I will never forget. So many great, sad, emotional events happened this year. I started 2013 off by running my first half marathon in honor of something that is so close and dear to my heart….ANIMALS. I still remember race day like it was yesterday, so nervous!!! I could barely sleep the night before, at the start line I remember running up and down the street to calm my nerves down. It was an amazing race I will not forget. It was a hard race for me, painful, but completed. It was the greatest accomplishment yet in my running career. I do have a lot of issues running. I have overcome a lot since I started years ago. I would try to find information and professionals to help figure out what was wrong, but no one wanted to help. I found nothing and no one with the health problems I have. It made me feel alone in the running community, almost like I didn’t belong. 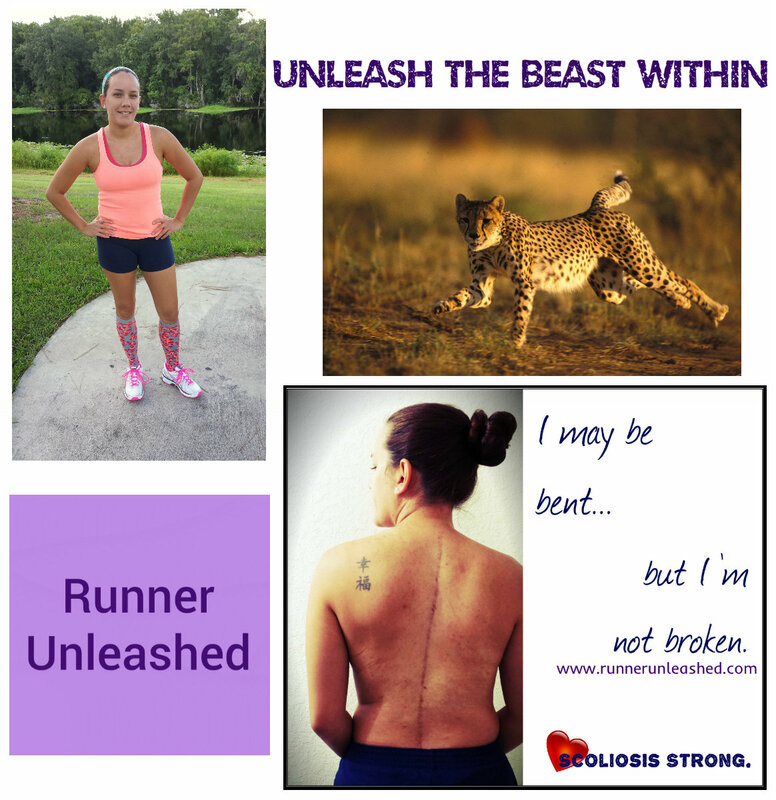 With all that, I mustered up the courage to start my blog, Runner Unleashed. I had gone through so many obstacles and injuries that I had overcome on my own, I knew I wasn’t the only runner with such problems. Everywhere I would look online it was photos, comments, blogs, tweets, of never injured runner winning races, and setting local records. I had to start Runner Unleashed, I wanted to help others, and let them know they are not alone. I didn’t want runners to feel how I felt. and luckily as soon as I launched my page and Facebook page, I was flooded with comments on my inspiring story, and how happy runners where that they had a place to share and talk about injuries without being judged! I am happy to say that I have helped many runners overcome injuries, and have helped many of you strengthen your weak points! I have used my personal, non professional knowledge to help you all. I have used my own experiences as far as what works and what doesn’t for the most common running injuries. Thank you all for your continuous support and for sticking around. I have gotten many other opportunities to be ambassadors for several running related companies! I am a proud SWEAT PINK Ambassador, and a SHUBEEZ affiliate! I am also very active in the KT TAPE community.I had a good time being a part of the G.O. H.A.R.D. ambassador team from Run The Edge! I am ready for next year 😉 I will continue to work with companies in hopes to reach and help runners everywhere! I also made a HUGE decision to sign up and go for my first full marathon…which is in 8 days!?!!?!?! My little man has also gotten into running and has ran many many races this year including his first 5K which he ran the whole way! Alpha ran his first full marathon this year also. Overall, it has been a very successful year for the Cheetah family! 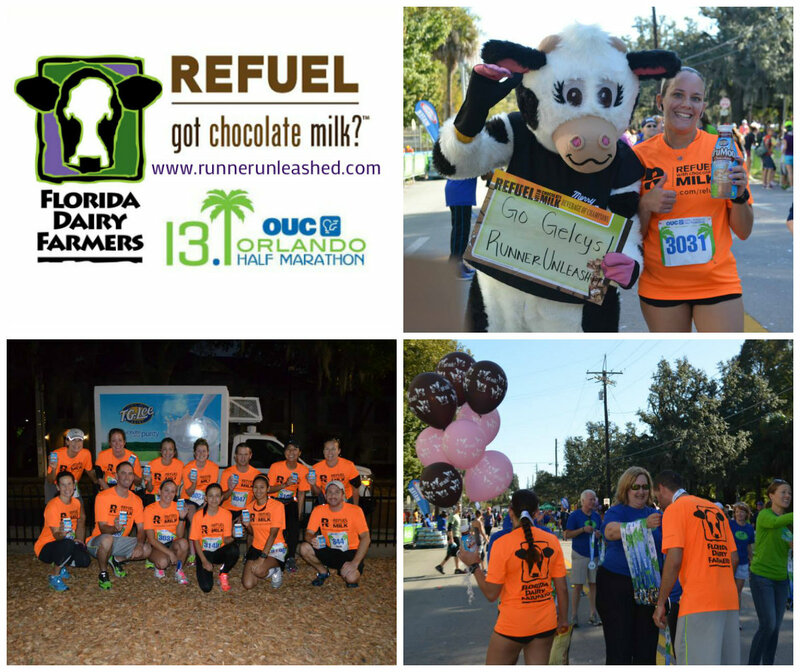 I was also chosen to be sponsored by FLORIDA DAIRY FARMERS to run a BIG local half marathon. Alpha was also chosen to be on Team Refuel! YAY! I was so excited, but also very sick! I had to run this race as it would be my last race for 2013. I ran it and enjoyed it and was a proud member of Team Refuel and hope to work with them again! The BEST team ever! With that also came being picked for the spotlight runner for the race concluding in a piece in the local newspaper! I felt honored and proud to have an article in the Orlando Sentinel. 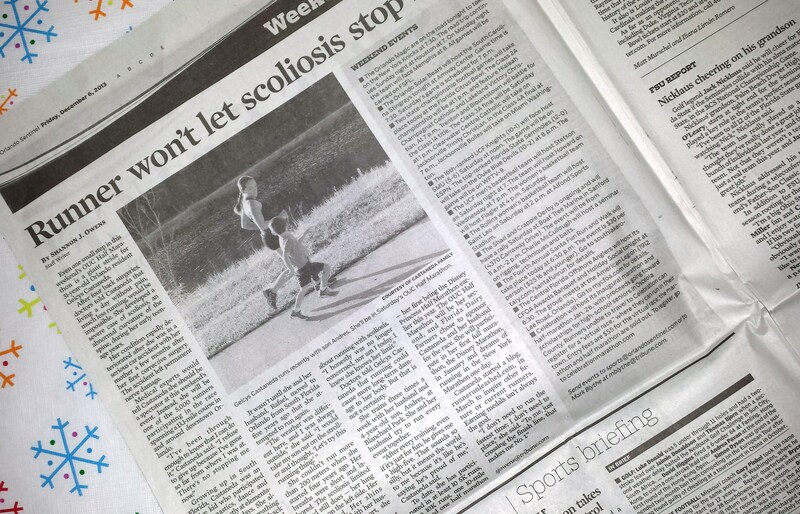 I have been through more than any of you will ever know, but I opened up my private struggle with Scoliosis in order to give you all some motivation. I fight everyday, I get out and do it everyday, and I no longer let anything stop me. I don’t give up and fight for my dreams! I have also made tons of great new running friendships I will cherish, as so many of you inspire everyday! Many of you support me and know the right words to say when I need them! Thank you Devon, Rachel, Michael,Chuck, Jackie,Reist, Michelle, Linda, Christina, Stephanie, Noel…the list goes on but THANK YOU all for being so awesome and great friends to me! In 2014, I will be starting off my year by running the newly added 10K on Friday January 10, and following that with my first full marathon Sunday, January 12, 2014! I am excited and can’t wait to see my best friend who is coming in from out-of-town to cheer me on! I will be running this race with my Alpha and Alex, my high school best friend of 15 years! I am hoping 2014 is just as good as 2013 was to me! I am sad to see you go but I am ready for 2014 and all the good, new, positive things it will bring!!! HAPPY NEW YEAR EVERYONE! Thank you for your story !! 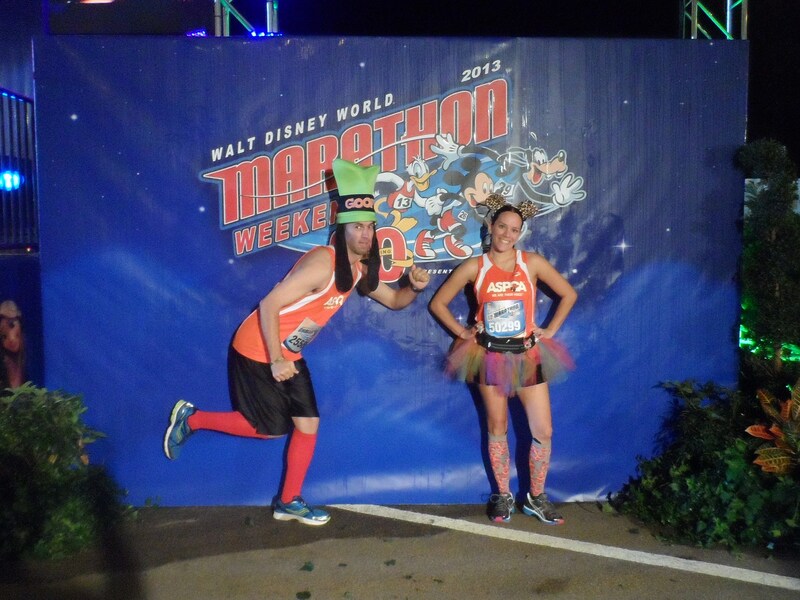 I too will be at the WDW running my first Marathon. Just found out that I also have scoliosis, compressed discs and other issues that the docs can’t figure out yet. I’ve been told not to do the marathon. I am going to do it if I have to walk, cry, crawl, I will do it! Thanks for the inspiration to keep going and never quit! Happy New Year! Debbie I’m sorry yo hear that but I am loving your determination!! Hope to see you there. Just make sure you don’t hurt yourself!! I will try not to hurt myself! I am getting massages, Chiropratic care, stretching, etc… hopefully the pins and needles down my leg will be gone by race day. I will finish even if I have to walk. I’ve been planning this and looking forward to this for a long time! Awesome! Would love to meet you and fellow runners! What a great year. All the best to you and your family. See you at WDW! Soo inspiring. Thank you for sharing your journey. I’m beyond proud of you Gelcys! You are a true inspiration and one of a kind. May God continue to bless you in your journey! Can’t wait to see you cross that finish line, hopefully I can see you through my tears of happiness!!!! I love you! Thank you! I know you are and don’t cry at the finish line or I will too!!! I love you too! Previous Previous post: Do you own a Fitletic?